Are you capable of doing it yourself? You started your own business, you can do anything! But why spend countless hours stressfully doing and re-doing a project when you can better spend your time getting customers in the door, converting sales, and/or spending quality time with loved ones? We'll work closely together so you can still feel fulfilled creatively without the stress! You have bigger and better things to spend your time on. Burnt out from DIY-ing your way through your brand, website, or creative project? Don't need a whole package? Why spend more for things you don't need? Let us know your unique needs and we'll provide a custom quote for your project -- it's that easy! Hand crafted design authentic to your business. This base package can be fully customized to suit your unique needs. Collateral items include but not limited to: business cards, social media images, letterhead, icons, and illustrations. Thoughtful web design providing your customers with their ideal experience. Your choice of either a Showit [recommended] or Squarespace site. This base package can be fully customized to suit your unique needs. mid-sized businesses looking for a brand refresh. This base package can be fully customized to suit your unique needs. Collateral items include but not limited to: business cards, social media images, letterhead, icons, and illustrations. We'll chat about your passion for your business, your goals/visions, and the overall experience you're looking to give customers. Let's hear whats currently working for you and what you're wishing to change. Next, we'll gain clarity about your vision. We'll identify whats not working for your business and plan solutions. Market research is a key part of this stage to ensure you stand out from your competitors. If we're working on your branding, this is also the stage where you will receive a custom brand moodboard so you can see how your vision will come together! This is the stage where everything comes together. You'll have the incredible satisfaction and relief of seeing your vision come to life! Once finalized, you'll receive the completed products! This includes everything listed in your client contract. Just think -- you're only a few steps away from launching your custom hand-crafted brand and/or website! "Kris was an absolute dream to work with! We brought her on to one of our biggest campaigns of the year and asked her to design digital downloadable books for us. Kris went above and beyond my expectations in both the visual design and how fast she was able to produce the digital books for us. Every digital book was uniquely and beautifully designed, plus we requested editable sections which is more advanced for most designers but Kris implemented this request perfectly. She took our vision and produced exactly what we were looking for. On top of her stellar work, Kris was such a joy to work with! She was always warm, upbeat and a super supportive team member. I can't speak highly enough of Kris and would recommend her for all your graphic design needs!" "Working with Kris was such a joy - she took the time to really understand my brand and the direction I wanted to go. She worked so carefully to create a meaningful logo & moodboard, and was so open to me asking questions, suggesting tweaks, and talking through ideas. I didn't have an extremely clear vision of what I wanted but she helped me streamline my brand and I'm so glad our paths crossed! I can't recommend working with BLK Sheep Creative highly enough." 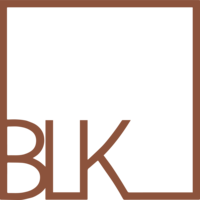 "Working with BLK Sheep Creative for my business logo was a total pleasure. I adore her style, and appreciate deeply her attention to detail. Her work is elegant, simple, and thoughtful. In all our communications, it was clear that she really wanted to make sure I was 100% happy with the end product design, and that my happiness was important to her! Her communications were always super clear and timely. It’s obvious she cares a lot about her work, and her desire to support fellow “femalepreneurs” is super endearing! I’d recommend her highly to any one seeking a design to represent their business!" "Kris worked with me to create exactly the rebranding materials that I had always dreamed of! She listened to my ideas and made them into reality for my logo, business cards, website, and other promotional materials for my young photography business. 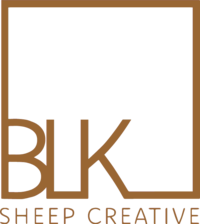 BLK Sheep Creative is built by women for women and I felt so much more comfortable working with Kris than with any big firm. Overall I was so impressed by the clean design, Kris' ability to interpret my needs and wants, and the quick turn around for this project. 10/10 would recommend! Can't wait to work with BLK Sheep Creative again in the future."